Scientists from Russia and the U.K. have developed an antenna that can aid in reducing sources of terahertz radiation down to the size of a fingertip. 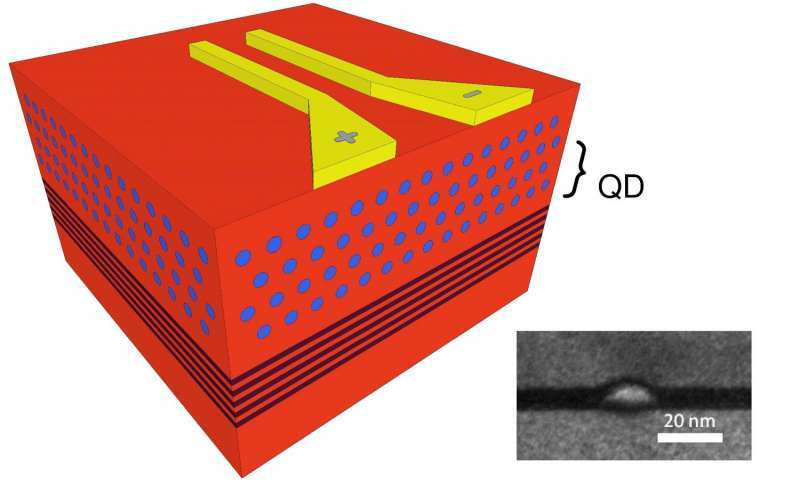 The antenna is a "sandwich" of semiconductor layers combined with quantum dots. The scientists demonstrated that such antennas provide a foundation for a new universal system capable of both transmitting and receiving terahertz radiation. Compact devices, operating at terahertz range, have applications in medicine and biology for tumor visualization and in the aerospace industry for high-speed communication systems. The study was published in Laser & Photonics Reviews. The terahertz range lies between infrared and microwave spectra. Terahertz radiation can penetrate living tissues, but unlike X-rays, is not ionizing and poses no health hazard. Therefore, medical practitioners could benefit immensely from compact terahertz scanners that can obtain pictures of tissues in living organisms. Researchers from Aston University and ITMO University used quantum dots to develop an antenna that can significantly reduce the size of terahertz sources. The work was supported by scientists from the University of Strathclyde and University of Sheffield, as well as TeraVil Ltd company and Center for Physical Sciences and Technology in Vilnius. "It was a technological challenge," says the study's academic supervisor Edik Rafailov, professor at Aston Institute of Photonic Technologies and leading research associate at ITMO University. "We demonstrated that quantum dots are a good alternative for conventional semiconductors. 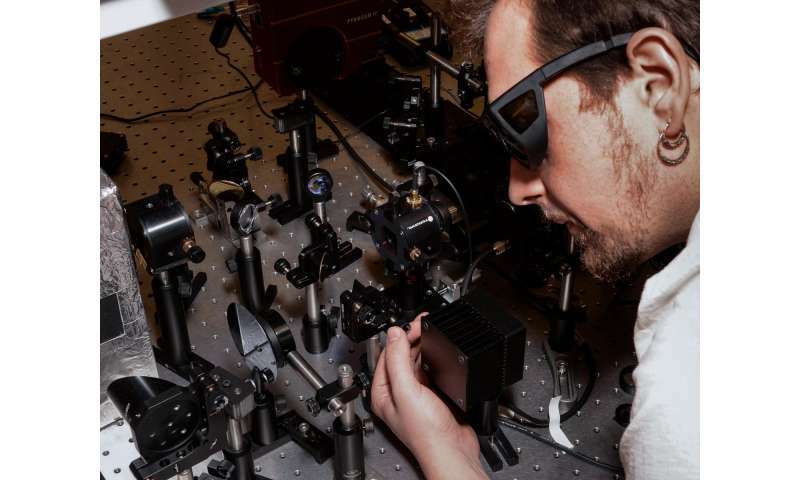 This new technology gives us an opportunity to generate terahertz at room temperature. And potentially make terahertz devices compact and cheap." 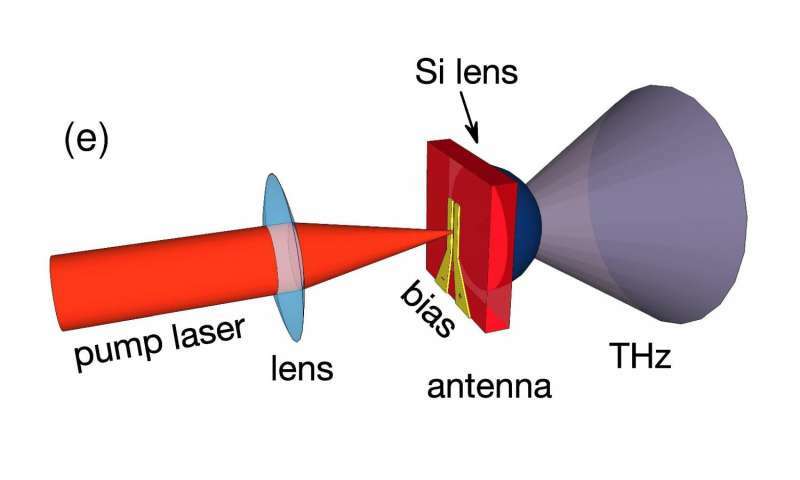 Today, terahertz generation relies on sources that involve conversion of infrared laser beam into terahertz. The transformation is carried out with intricate systems of waveguides, semiconductor crystals or diodes. The search for alternative ways of generating and detecting terahertz waves is still underway, but such devices remain bulky, expensive and operate only at low temperatures. 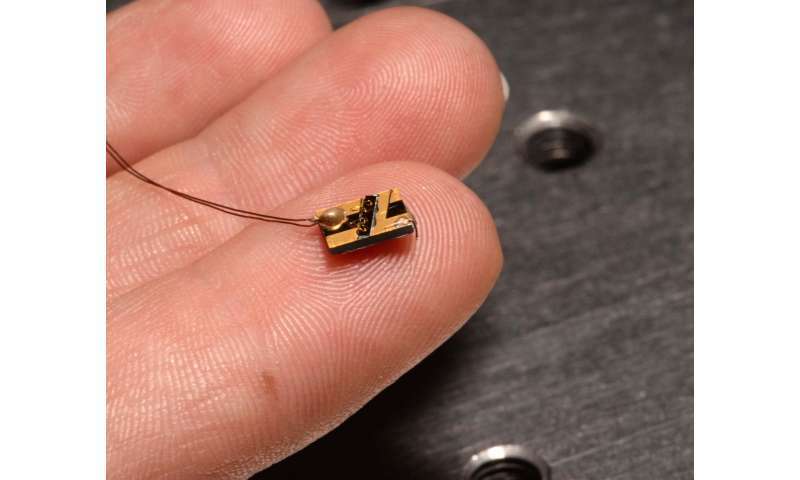 The new antennas make it possible not only to use terahertz sources at room temperature, but also to miniaturize them. "We are able to create very compact sources of terahertz radiation the size of a fingertip," comments leading author of the paper Andrei Gorodetsky, researcher at the Department of Photonics and Optical Information Technology of ITMO University and research associate at Aston Institute of Photonic Technologies. "With the new antennas, we managed to remove the limitation associated with the narrow light spectrum that is used by current converts. This gives us an opportunity to combine the antennas with compact infrared lasers. Additionally, the antennas are 20 times more resistant to damage than typical semiconductor devices. Both factors allow us to incorporate the antenna into the laser instead of setting it apart." 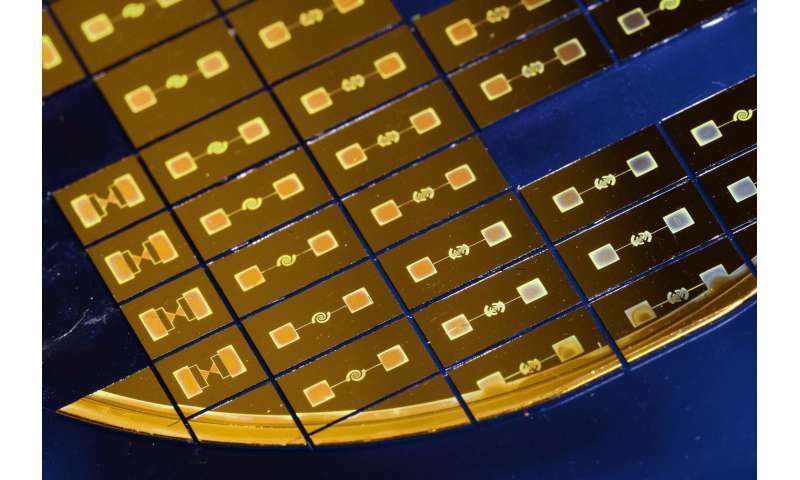 The researchers suggest that their findings can be used in high-speed communication systems and also in compact terahertz scanners, which would give dynamic imaging of deep skin layers, embryo development, brain processes, and scanning of internal organs or tumors. Terahertz radiation is not harmful, as it does not scatter too much in biological tissues. As a result, terahertz systems are more informative, sensitive and fast compared to their substitutes from other parts of electromagnetic spectrum.